Leukerbad is famous as Switzerland’s largest thermal spa resort, boasting a total of 30 baths. Its location in a natural amphitheatre makes for some fantastic scenery, with views of the Matterhorn and Mont Blanc from the ski area. A good selection of restaurants and cafes make this a good option for a self-catering break, plus there is a good selection of bars for the evenings and a cinema. 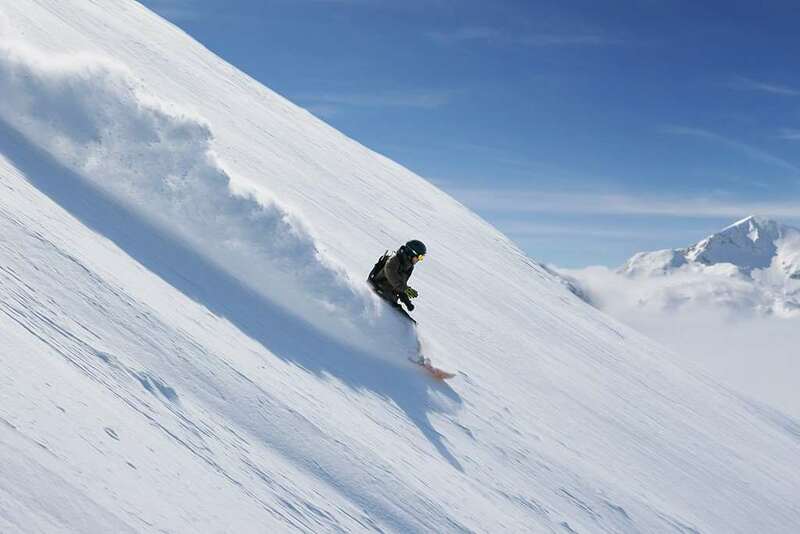 With just 50km of downhill pistes and 25km of cross-country trails, The skiing area of Leukerbad has grown world famous from hosting several world cup races (men's and ladie's downhill race, giant slalom and slalom). Leukerbad’s ski area is boosted by plenty of opportunities to go off-piste and is more suited to intermediates and experts. The pistes are well groomed throughout the season for great skiing and snowboarding. There are snow making facilities across 18 km of the runs which produce artificial snow for those days where natural snowfall isn't great. The Gemmi Pass is kept open throughout the winter months for walkers wanting to hike to Sunnbuel. In the town, there is a sports arena with a climbing wall and an indoor ice rink. Leukerbad has facilities for ice-skating, curling, tennis and squash at the sports arena. The passionate hiker can walk on the 40 km of open trails in Leukerbad and enjoy the crisp mountain air. Geneva and Zurich are the two nearest airports to Leukerbad and with public transport you can usually arrive in resort between 3 to 3 and half hours. 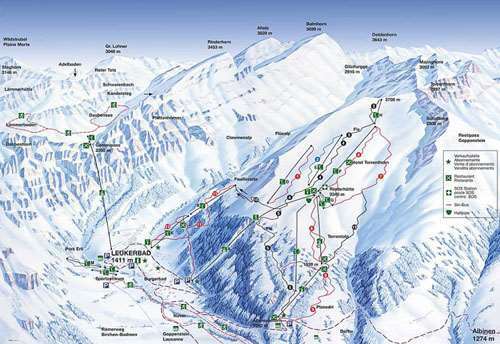 There a regular trains running to and from resort the nearest station is at Leuk which has a short bus transfer into Leukerbad. This a gorgeous reliable swiss resort, safe for me to develop my off piste skills, safe and reliable in every respect. Your snow info is less so . Snow report for Sun 20 Feb and Mon 21 Feb suggests no new snow fall. 15 cm of glorious powder suggests otherwise .